Multi-award winning, Glamglow Youth Mud is the perfect male skincare and grooming companion with it’s ability to tighten and smooth skin whilst simultaneously lifting out blemishes and impurities (as well as the super-blemish busting Glamglow Super Mud Clearing Treatment featured in the photos). Glamglow really does make your complexion glow unlike anything else; everything appears lifted! Glamglow is based on a fabulous composition of ingredients with volcanic minerals, french sea clay, essential oils, comfrey as well as a patented and highly targeted green tea extract. To apply, smooth Glamglow evenly onto the skin avoiding the eye area; my top tip is always to apply it with a brush (any foundation brush will do) as it gives more even coverage and you use less product. Glamglow mud mask tingles on contact with the skin as pores are opened and surface dead skin cells are exfoliated. Leave it on until it dries and changes colour before removing with warm water; I use either my hands or a brush / flannel. Be sure to moisturise well afterwards as with any mud-based facial mask, skin can be a teeny bit dehydrated. 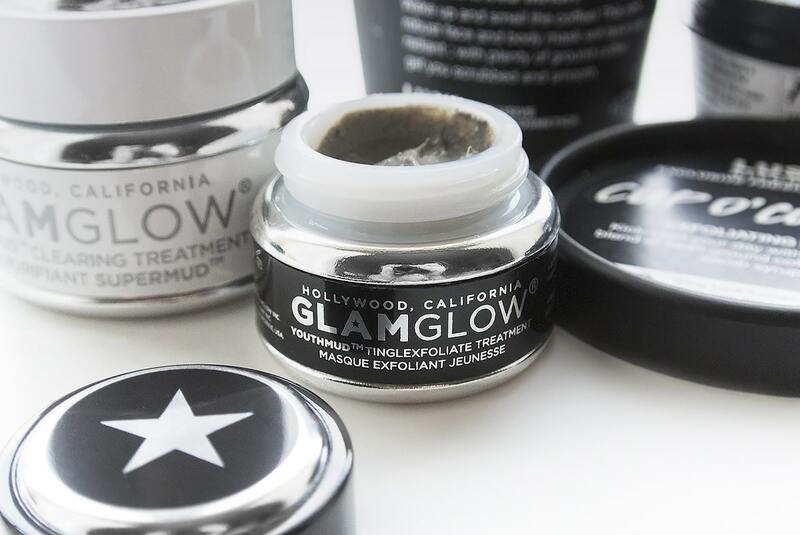 Glamglow products are here at Look Fantastic with 15% discount and free delivery! 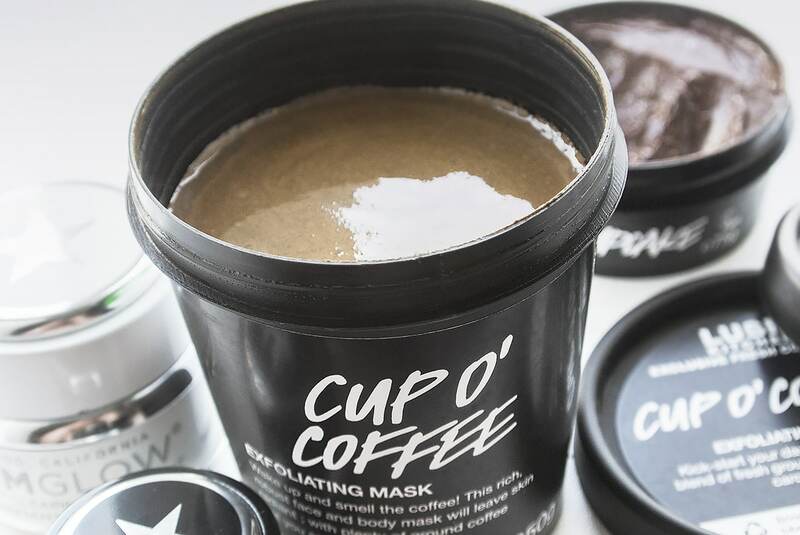 Cup o’ Coffee (Cup of Coffee) is a rather exciting product and is an upcoming launch from LUSH Cosmetics Ltd (so unfortunately not available for this year’s National Mud Pack Day). It’s part of a range more targeted towards men’s grooming and male skin, although all products will be universal and are inspired by Mark Constantine’s journey to find his estranged father, John – Dear John is a beautiful Gorilla Perfume already available. The Cup o’ Coffee pictured above was hand made by yours truly, from one of many new top-secret LUSH Cosmetics Recipes, on my recent visit to the LUSH Cosmetics Ltd factories in Poole (I’ll be posting about that this week). I can personally vouch for every single ingredient including the Carob Syrup, Kaolin Clay, Ground Coffee Infusion, Talc and Glycerin; as well as a beautiful and natural fragrance infused with essential oils – it’s the perfect winter face mask! Cup o’ Coffee is for both face and body, designed to exfoliate, hydrate and pull out impurities from the skin. It’s amazing on backs and bums for bacne and assne! Applied liberally to the skin, it doesn’t really dry and therefore doesn’t sap moisture from the surface (men’s skin is particularly vulnerable to surface dehydration) but quite the opposite; it injects moisture back in. Leave it on for 10 minutes or so then rinse off by massaging it under warm water. By massaging, you activate the exfoliating powers of the ground coffee and slough away those dead skin cells leaving well moisturised, hydrated and smooth skin underneath. I think LUSH Cosmetics Ltd are 100% onto a winner here! 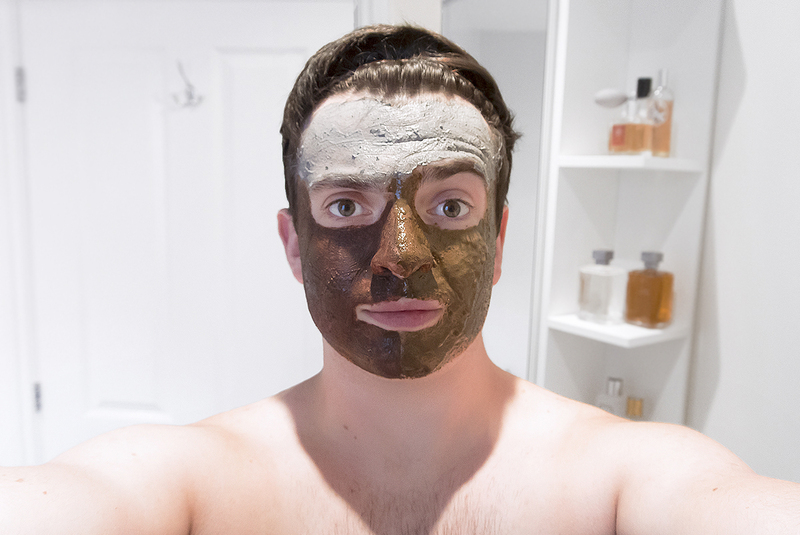 This delicious chocolate facial mask is highly addictive; I’ve been using it since I was 16 (so 8 years now) and it’s one of my favourite men’s grooming and skin care products EVER! With absorbent Rhassoul mud, deep cleansing cocoa powder and fresh mint to stimulate and tone the skin – it’s a bargain powerhouse and is perfect for those who are blemish, spot and acne prone. Apply gently onto the skin, avoiding the eye area, and leave until dry. Rinse off with plenty warm water and massage to increase its powers of exfoliation (although if you’re suffering with acne, try to avoid this); be sure to tone the skin with your favourite toner or micellar water afterwards and then moisturise. 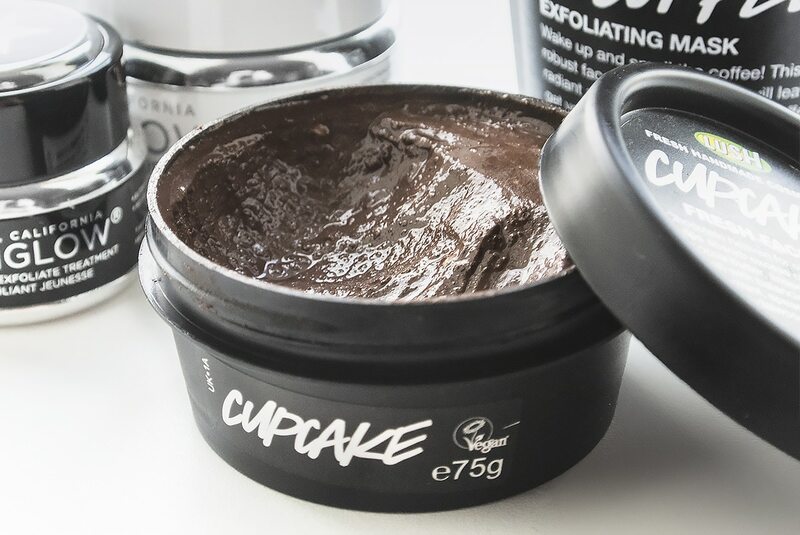 LUSH Cosmetics Ltd Cupcake Fresh Face Mask is an absolute bargain at just £6.25 per pot and the perfect National Mud Pack Day treat; oh and make sure you keep it in the fridge as it really is that fresh. This article first appeared on MANFACE written by Thom Watson. It was published on Sunday 28th September 2014 and was last updated on Monday 3rd April 2017 at 1:53pm. It's categorised under GLAMGLOW, LUSH Ltd, Mask where you'll find more related content. Love Cupcake. Do you know if Cupo o’ Coffee is out in the shops now? I think you’ll love it. If you’re blemish prone, definitely invest in the Super Mud Spot Clearing version of Glamglow. Also, if you’re in Leeds, pop to the new LUSH Cosmetics Ltd store and pick up a Cupcake Fresh Face Mask. Always been tempted to try Glamglow, now reading this I’m off into Leeds this afternoon and buying a jar.